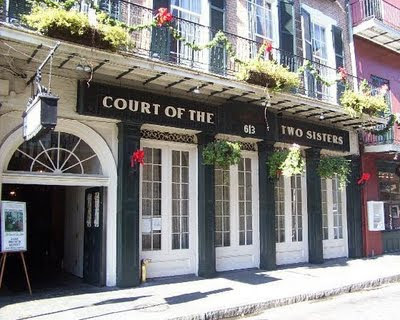 One of my very favorite places to go in New Orleans is to the Jazz Brunch at the Court of Two Sisters. I always request, and wait for, a table on the patio. 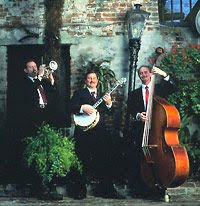 The food is divine, the atmosphere relaxing, the setting gorgeous and of course the music is live New Orleans Jazz! 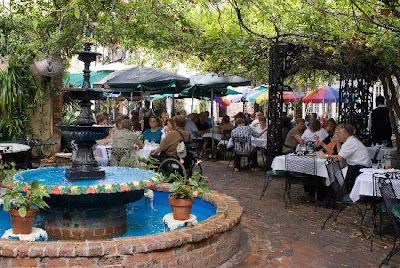 The history behind this wonderful restaurant was two Creole sisters and the notions shop they owned on this site that gave The Court of Two Sisters its name. 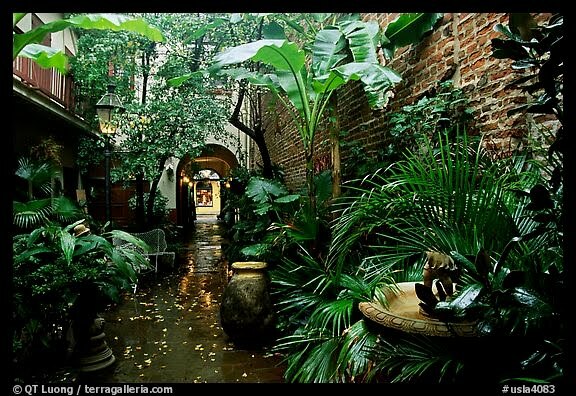 However, 613 Rue Royale has long played a significant role in the history of the French Quarter and old New Orleans. Originally known as "Governor's Row", the 600 block of Rue Royale was home to five governors, two state Supreme Court Justices, a future Justice of the U.S. Supreme Court, and a future President of the United States. It is not surprising, then, that the original resident was Sieur Etienne de Perier, royal governor of colonial Louisiana between 1726 and 1733. 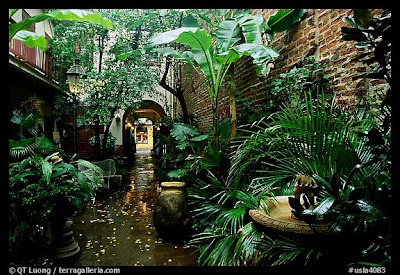 It has also been rumored that the outrageous Marquis de Vaudreuil, the colonial royal governor who transformed New Orleans from a marshland village into a "petit Paris", was once a resident of 613 Rue Royale. The two sisters, Emma and Bertha Camors, born 1858 and 1860 respectively, belonged to a proud and aristocratic Creole family. Their "rabais", or notions, outfitted many of the city's finest women with formal gowns, lace and perfumes imported from Paris. Marriage, reversals of fortune, widowhood - nothing could separate the sisters. Indeed, as the New Orleans Times-Picayune was to report, the sisters died within two months of each other in the winter of 1944. 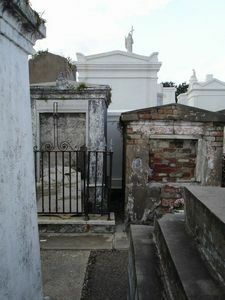 United in death as in life, the sisters lie side by side at St. Louis Cemetery #3. The best time to go is in the spring when the wisteria over the patio is in full, fragrant bloom and the weather is cool and pleasant. While there, tour the entire building as it's an exquisite example of New Orleans French Quarter architecture.